Five Things To Do With Kids In Berkshire This Summer! Me and Spud are lucky when it comes to our location, we live in Reading which is located in the county of Berkshire! Reading isn't far from London at all, especially if you jump on the fast train, you'll arrive at Paddington train station within 30 minutes having the capital at your feet with great public transport services! However, to have a good time, we don't need to venture out of Berkshire at all, and here is just five places to visit in Berkshire that me and Spud love to visit as often as we can! 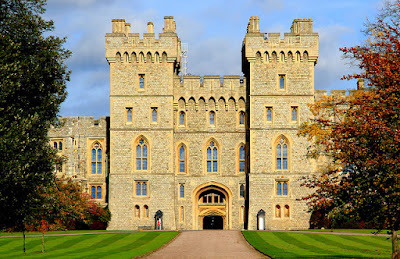 Windsor Castle is not only the home of Queen Elizabeth, but it's also the oldest and largest occupied castle in the world which offers an extraordinarily rich and varied day out for all the family! Tickets will cost you £11.30 for a child under the age of 17, and the same cost applies for disabled guest, children under the age of 5 get into the castle for free, with an adult ticket costing £19.20, and over 60's & student tickets costing £17.50 with valid ID. A family ticket will cost you £27.80 and gets up to 2 adults, and 3 under 17's in. Go Ape is the number one forest adventure in the UK with 28 Go Ape's around the country! If you like living an adventurous lifestyle, or want to be more adventurous, then Go Ape is the place to be! A classic Go Ape visit includes a 2-3 hours long Treetop Adventure where you'll be briefed on safety, before you fly down zip wires, leap off a Tarzan swing and tackle some crossings! Prices vary depending on location, dates and what course you'd like to do! Do check out the official website for more information! 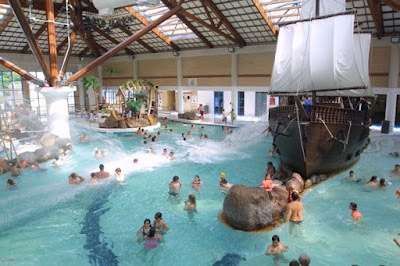 Understandably you can go swimming anywhere, in any swimming pool, but you've not experienced a real UK swimming pool until you've visited Coral Reef! With three water slides (the Python, Anaconda and Boa), a lazy river enjoying the outdoor sun, relaxing poolside spa pools, the excitement of fast river and much more, you must visit Coral Reef for the ultimate swimming experience! If you're lucky enough to go on a day where the photographers in, you can even get a family portrait in the water to capture the memory forever! Prices vary depending on age and whether you're visiting during the peak or off-peak season. Car parking will cost you £3, but allows you to stay at the attraction for up to five hours. The Living Rainforest - Thatcham. The Living Rainforest is home to over 700 species of plants, insects and animals, you can experience the rainforest experience without even leaving the UK! Keep an eye out for free roaming birds, lizards and butterflies, plus the monkeys, a crocodile, toucans, snakes and much more! Also to be seen are some of the worlds most popular food plants, including coffee, ginger, banana, vanilla and cocoa! This is a fab day out if you're into nature and living things. Once you buy a ticket to The Living Forest, you can return over and over again for one whole year, ticket prices are as follows; OAP's and students £9.35, adults £9.95, prices for children between the ages of 2-14 is £8.45 with under 2s getting in for free. Family ticket prices are between £32.35 and £33.35 depending on the number of adults. 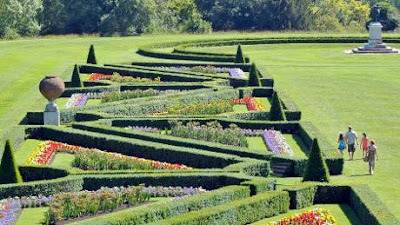 Part of the National Trust, if you visit Cliveden Gardens you can follow in the footsteps of royalty, earls and dukes as you explore a series of gardens each with their own special charm. With vibrant floral displays the gardens will delight you in every season. For children, the Storybook Play Den encourages imaginations to run wild as children find wooden carvings of storybook characters whilst the 500 metres of winding paths in the Cliveden Maze make it a challenge to all visitors at the centre! Tickets depend on your visit, so do check out the official website for prices. Berkshire has a great range of public transport available if you don't drive, with main train stations and littler unmanned stations, you'll be sure to be able to reach your destination either by train, bus or taxi! If you drive, then you've nothing to worry about, with no silly zone charges in Berkshire unlike London, its easy to access attractions by car! With the Holiday Inn Maidenhead situated very close to Windsor and in Maidenhead itself, sorting out accommodation for you and your family is relatively easy! If you do decide to stay there, you're very close to London, which opens up a whole new chapter of attractions to visit, and places to go with the kids! *Written in collaboration with IHG.